The best way to select the right practice management system for your hospital is to experience in action, with our advice and real-world examples. We will visit your hospital to perform an AHMS Demonstration with no obligation, or if time is critical, perform a Live Web Demonstration anytime, to meet your busy schedule. Click here to send us a request for a demonstration. Choose the AHMS with confidence, since we have a 100% satisfaction guarantee up to the first five (5) years of use - the longest guarantee for a veterinary practice management system! Visit our exhibit at the upcoming conference to learn more about the AHMS and how we can help your practice use technology to improve medical treatment, client compliance and business success! Experience the AHMS in Action : Please visit us at the Colonial Veterinary Conference, December 4 - 8, 2013 at the Fort Magruder Hotel and Conference Center in Williamsburg, Virginia during Grand Illumination! If you can't make it to the conference, you can always click here to request more information or a live web demo of the AHMS or AHMS SQL.. 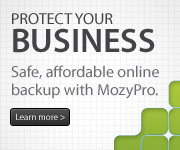 Your data in the Animal Hospital Management System is mission critical, and must be protected using the most advanced, secure and reliable backup strategy available, using Online Backup by MozyPro. Click here to learn about online backup and why it's the only way to be sure your data is protected. The screen shows from the Animal Hospital Management System are examples of screens used at different hospitals. Since the AHMS can be customized for each hospital, you can be assured that the screens will be very easy to use, and make sense to all the staff. There are 3 different albums of images, so please view each album by selecting the desired album using the dropdown list to the left, SELECT ALBUM. Enjoy, and if you want to see more, please request a demo by clicking here.